We asked a group of analysts to ‘re-engineer’ the 2016 rookie draft. What were the results? Will DeAndre Washington carve out a role in Oakland? A major component of my dynasty process is to look back at the decisions I have made and what was involved in that decision. Looking back can be extremely helpful to uncover gaps in our thought process, what we focus on, and especially to adjust our range of outcomes. 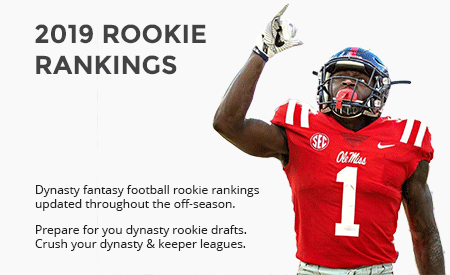 One exercise I have done on my own is to re-rank the previous years’ rookies. 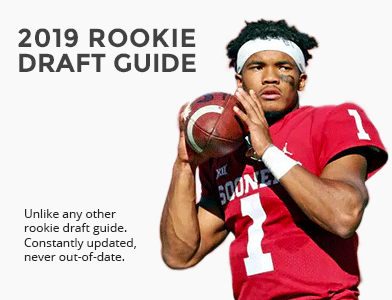 I take a hard look at the pool of rookies and reassess my opinions on them now, and try to find nuggets on rookies that I may have dismissed as “coach speak” or “fluff pieces”. This year, I took it to whole new level and asked 11 other analysts to join me in a three round re-engineering of the 2016 rookie draft. With 36 players to cover, I will split this into three articles, covering the third round first, subsequently publishing the second round, and finally the first round. Onto the picks! Oakland running back DeAndre Washington split backup duties with fellow running back Jalen Richard in their rookie campaigns. Washington finished 2016 with 20% of the rush attempts in the 12 games where he saw more than one rushing attempt. Washington has the edge in the rushing game, while Richard has the slight edge in the receiving game having 29 receptions to Washington’s 17. While former teammate Latavius Murray has departed, Marshawn Lynch enters likely to replace the 48% of the running back duties that Murray is leaving behind. Washington’s path isn’t necessarily a clear one to see immediate growth; however Lynch is a 31-year-old running back coming back from taking a year off. For 2017, I would see Washington as a future stash post-Lynch or a handcuff in Lynch struggles to produce. This situation makes Washington a good value in the early third round here, at #25 overall. Kevin is a husband and dad of 4 kids ranging from 2 to 12 years old. By day he is an Electrical Engineer working in semiconductor test development, by night researching fantasy football. 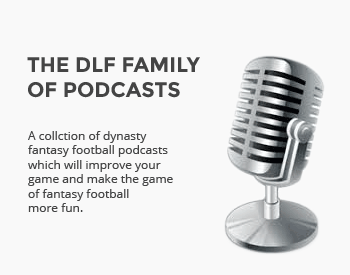 An active owner in many dynasty leagues across multiple formats; IDP, Superflex, 12-16 teams, Salary Cap, Devy, Best-ball, you name it. Kevin lives & breathes dynasty and loves having open discussions on any aspect of football, feel free to hit him up on Twitter, @the_ff_engineer. Hi Kevin…great topic. Would be interesting to go back and see what analysts were saying a year ago about this round of players. Given the recent explosion of dynasty podcasts, it would be great if a year from now someone mined the current analysis to see who was right. I’ve learned a lot by listening to summer 2016 podcasts and seeing how the advice stacks up now (hearing for example how last August Keenan Allen was viewed by dynasty Twitter as equivalent to a top-5 2017 1st + Diggs + Michael Thomas was…amusing). Also remember hearing on a recent podcast that Crowder + a mid-2018 1st isn’t worth Allen Robinson…have a feeling that sentiment will change drastically by 2018. Great work as always Kevin! I love seeing these hindsight-type reviews as it often shows how opinions change over just one season worth of film.